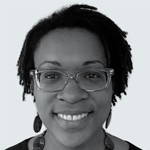 Anita leads place-based, equitable development initiatives at PolicyLink. In her time there, Anita has established the Transportation Equity Caucus, a national coalition that promotes policies that yield just and fair infrastructure investment; led a philanthropic partnership dedicated to expanding access to housing and opportunity; and served as a lead coordinator of Equity Summit 2015. Prior to joining PolicyLink, Anita spent six years with the Washington, DC Office of Planning where she served first as a neighborhood and citywide planner, and ultimately as the chief of staff, leading the agency’s media activities, legislative initiatives, and special projects. She serves on the boards of Jobs to Move America, Shared Use Mobility Center, and Smart Growth America. Anita holds a master’s in city and regional planning from the University of California, Berkeley. She resides in Washington, D.C. with her spouse and three children, and is an active member of the historic Shiloh Baptist Church. 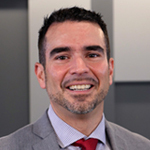 Carlos is a dynamic and high-performance professional with more than 12 years of combined experiences and increasing responsibility in the public, private and not for profit sectors of the United States, Canada, and Latin America. Passionate about economic development, equity, public policy, future of work/workforce development, community engagement, and public-private partnerships, Carlos leads the Equitable Economic Development (EED) Fellowship, a technical assistance program in partnership between National League of Cities (NLC), Policy Link, and the Urban Land Institute (ULI). 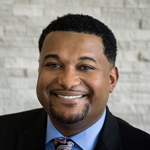 In this role, he works with an annual cohort of U.S. cities to help them pursue more equitable and inclusive economic outcomes, advising Mayors, city leaders and diverse stakeholders how to create access to economic opportunities within all of their communities and to intentionally include an equity lens in their economic development strategies. The former cohort of cities included Austin, Baltimore, Boston, Charlotte, Houston, Louisville, Memphis, Milwaukee, Minneapolis, Nashville, Phoenix and Sacramento. The current cohort includes the cities of Birmingham, New Orleans, St. Louis and Stockton. 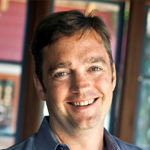 For nearly 15 years, Devin has been focused on all aspects of sustaining affordability in sustainable and connected communities. As Enterprise’s Senior Program Director for Transit Oriented Development, he is focused on supporting individual TOD projects, community leaders and public-sector partners in developing capital, policy and partnership solutions to ensure affordable housing and community serving commercial facilities are built and preserved near transit. Devin’s experience includes working in LIHTC syndication and developing affordable multifamily and single-family home ownership projects. 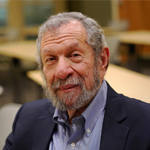 Writer, scholar, practitioner and advocate Alan has been engaged with the challenges of rebuilding America’s cities and their neighborhoods for over fifty years. A senior fellow with the Center for Community Progress in Washington DC, he also teaches in the Graduate Center on Planning and the Environment at Pratt Institute in New York. He has been affiliated with the Brookings Institution and the Federal Reserve Bank of Philadelphia, and served as director of housing & economic development for the city of Trenton, New Jersey. His latest book, The Divided City: Poverty and Prosperity in Urban America and grapples with the challenge of the simultaneous urban revival, decline and polarization in the nation’s older industrial cities, and lays out a path for future cities of inclusion and opportunity. He has authored many other books, articles, book chapters, op-eds, and research and policy reports. He is also a pianist and author of two acclaimed books on 19th century Italian opera. He holds a B.A. degree from Yale College, and lives in Roosevelt, New Jersey. 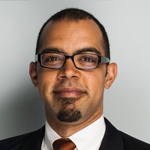 Nate serves as Founder and Chief Equity Officer of the Partnership for Southern Equity (PSE), which advances policies and institutional actions that promote racial equity and shared prosperity for all in the growth of metropolitan Atlanta and the American South. Among PSE’s notable accomplishments was the creation the American South’s first equity mapping and framing tool, the Metro Atlanta Equity Atlas, and co-authoring numerous reports including: “Growing the Future: The Case for Economic Inclusion in Metropolitan Atlanta”, and “Employment Equity: Putting Georgia on the Path to Inclusive Prosperity”. PSE also led a coalition of diverse stakeholders to support a $13 million transit referendum that expanded Atlanta’s metropolitan transit system into a new county for the first time in 45 years. Smith’s advocacy activities were instrumental in the ratification of a 15 percent set aside of Atlanta Beltline Tax Allocation District (TAD) dollars for the development and maintenance of affordable workforce housing within the Atlanta BeltLine Planning Area - $250 million dollars over the 25-year lifespan of the Atlanta BeltLine TAD. A child of Civil Rights Movement and Atlanta native, Smith holds a Bachelor of Arts in Urban Studies from Morehouse College and a Master of Science from the New School. Among many his many accomplishments, The Huffington Post honored Nathaniel as one of the eight “Up and Coming Black Leaders in the Climate Movement” in 2017. Nathaniel was also designated one of the 100 “Most Influential Georgians” by Georgia Trend magazine and named to the Grist 50 by Grist Magazine in 2018. Priya joined the National Housing Trust (NHT) as president in early 2018. In her role, she also serves as President of the National Housing Trust Community Development Fund (NHTCDF) and NHT Communities. 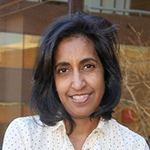 Priya leads the Trust’s engagement efforts in preservation policy, affordable housing development, lending and multifamily energy efficiency and sustainability through a ‘balanced approach’ to fair housing. Under Priya’s leadership, the trust is committed to protecting, improving and maintaining existing affordable housing, while also establishing new affordable housing communities in quality neighborhoods with access to opportunities. Priya came to NHT from Volunteers of America, where she served as the Senior Vice President of Affordable Housing Development. Previously, she worked for the U.S. Department of Housing and Urban Development’s (HUD) Office of Multifamily Housing Programs as Deputy Assistant Secretary for Multifamily Housing Programs. Spending more than 15 years in community development real estate banking in New York and Washington, DC, Priya is a recognized industry expert on affordable finance deal structuring. Priya earned her B.A. from the University of California and her MPA from the Woodrow Wilson School at Princeton University. Rick, principal of Street Level Urban Impact Advisors (StreetLevelAdvisors.com) is one of the nation’s leading experts in inclusionary housing and affordable homeownership. Rick is the author of Inclusionary Housing: Creating and Maintaining Equitable Communities, which has been called the ‘go to’ guide to inclusionary housing policy design. Rick has worked on the design and implementation of inclusionary housing programs with more than a dozen cities including San Francisco, New York, Denver, Seattle, Atlanta, and Honolulu. Rick was the founder of Cornerstone Partnership, and he now serves as a strategic advisor to its successor Grounded Solutions Network. Rick served as an F.B. Heron Foundation Joint Practice Fellow at CoMetrics where he researched business models for the collection of social impact data. He was previously a partner in Burlington Associates in Community Development and a visiting fellow at the Lincoln Institute for Land Policy. He has also served as a lecturer in the Department of City and Regional Planning at UC Berkeley and as a senior program officer for the Local Initiatives Support Corporation. He has a Bachelors degree from Oberlin College and a Masters of City Planning degree from the University of California at Berkeley. 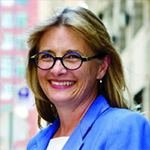 Vicki is the Boxer Family Professor of Law at NYU School of Law, an Affiliated Professor of Public Policy of the NYU's Robert F. Wagner Graduate School of Public Service, and Faculty Director at NYU Furman Center. She returned to NYU in February 2017, after serving for three years as Commissioner of Housing Preservation and Development for the City of New York. She has done extensive research on New York City’s land use patterns, inclusionary zoning, historic preservation, the interplay of community benefit agreements with land use practices, and on a variety of affordable housing and land use policies, including gentrification, mortgage foreclosure, racial and economic integration, and the effects of supportive housing developments on their neighbors. She is the co-author of a leading land use casebook, Land Use Controls. Vicki is a 1983 graduate of New York University School of Law, where she was a Root-Tilden Scholar. She clerked for Judge Edward Weinfeld of the Southern District of New York and for Justice Harry Blackmun of the Supreme Court of the United States.